2/2: ssword over SMS.However, Tweet notifications and activity updates will cease. We are very sorry for the service disruption. The notification appeared from a mobile number I have listed as “Twitter” in my contacts book. This makes both Twitter and Vodafone very much less useful to me – direct messages and mentions used to come direct to my phone as SMS text messages, and I used to be able to send tweets and direct messages to the same number (Docs: Twitter SMS commands). The service connected an SMS channel on my personal/private phone, with a public address/communication channel that lives on the web. So SMS works – it’s low power, typically on, low bandwidth, personal and public (via my Twitter ID). But now both my phone contract and Twitter are worth very much less to me. One reason I kept my Vodafone contract was because of the Twitter connection. And one reason I stick with Twitter is the SMS route I have – I had – to it. So now I’m looking for an alternative. To both. If I do change contract though, I hope it’s easier that the last contract we tried are still trying – to kill. After several years it seems a direct debit on an old contract is still going out; after letters – and a phone call to Vodafone where they promised the direct debit was cancelled – it pops up again, paying out again, the direct debit that will never die. This week we’ll try again. Next month, if it pops up again, I guess we need to call on the ombudsman. The founding story continues: I remember that @Jack’s first use case was city-related: telling people that the club he’s at is happening. If Vodafone and Twitter hadn’t stopped playing over the weekend, I’d have tweeted that I was watching the Wales Rally (WRC/FIA World Rally Championship) Rallyfest stages in North Wales at Chirk Castle on Saturday, and Kinmel Park on Sunday. As it was, I didn’t – so WRC also lost out on the deal. And I don’t have a personal tweet record of the event I was at. If I’m going to have to make use of a web client and data connection to make use of Twitter messaging, it’s probably time to look for a service that does it better. What’s WhatsApp like in this respect? Or if I’m going to have to make use of a web client and data connection to make use of Twitter messaging, I need to find a mobile operator that offers reliable data connections in places where I need it, because Vodafone doesn’t. Either way, this cessation of the service has made me realise where I get most value from Twitter, and where I get most value from Vodafone, and it was in a combination of those services. With them now separated, the value of both to me are significantly reduced. Reduced to such an effect that I am looking for alternatives – to both. I have exactly same problem. See http://forum.vodafone.co.uk/t5/Latest-Vodafone-news/Twitter-notifications/m-p/2312606#M131 for message from Vodafone and http://forum.vodafone.co.uk/t5/The-lounge/no-more-Twitter-SMSs/m-p/2312126#M7665 for eforum discussion. 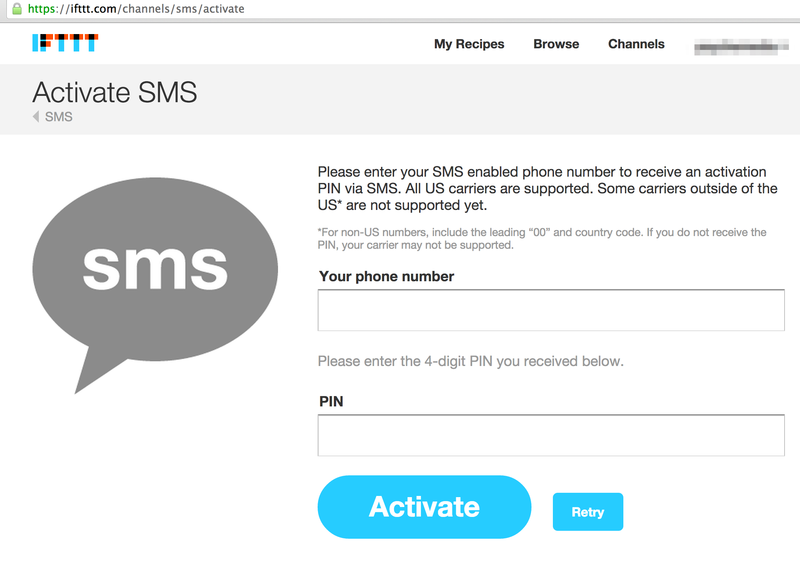 It looks as though IFFFT does support vodafone UK, at least I tried my number and it sent the activation code. Good shout on that, looks promising as I too miss the SMS notifications from Twitter and I’m stuck with vodafone. Hmmm – I tried that but didn’t get one on my Vodafone-UK contract?